Custom NBA All Star Game packages with first-class hotels in Los Angeles, tickets to the NBA All-Star Game at the Staples Center, and all the weekend’s activities. 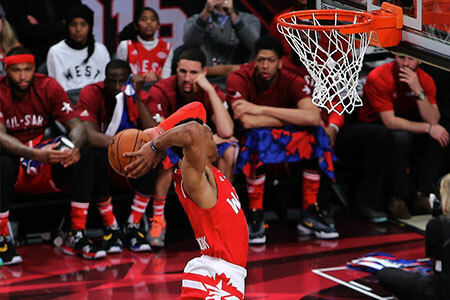 Experience everything from LA’s world-famous attractions, the All-Stars in action in the unmissable NBA All-Star Game, the Rising Stars Challenge, All-Star Saturday night and much more. In February 2018, thousands of lucky fans will descend upon Southern California for the NBA’s 2018 All-Star Game and a thrilling-basketball fuelled weekend. 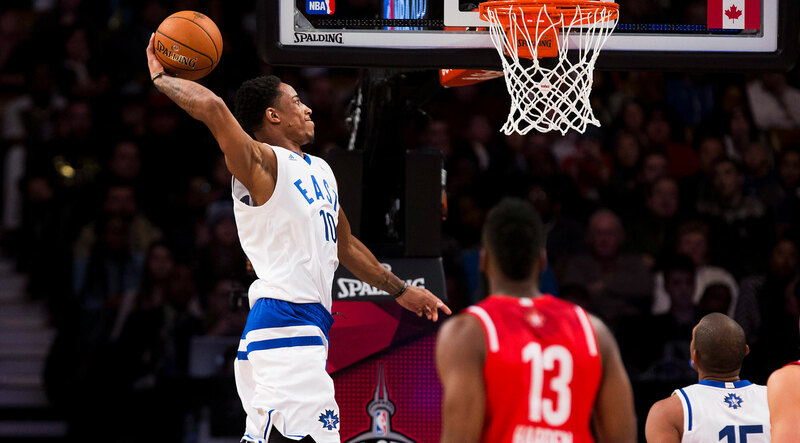 So much more than the game itself, NBA All-Star Weekend offers endless entertainment, from the Rising Stars Challenge to All-Star Saturday night before culminating in the big game on Sunday. In 2017, the West came out on top beating the East 192-182 with Anthony Davis snagging MVP honors. In 2018, you can be sure the East will be coming to the court looking to topple the West off the podium and claim the title of All-Star Champions. Whether you’re interested in traveling with your family, your buddies or hosting your key clients, Roadtrips will customize a package to make it perfect for you. Complete 2018 NBA All-Star Game packages available from $3,585 per person (based on double occupancy). Michael and I had the time of our lives on the trip for the NBA All-Star Game! Everything was handled perfectly by Roadtrips. We were really impressed by the service and the way everything was well planned by Roadtrips.